What type of apron do you prefer? 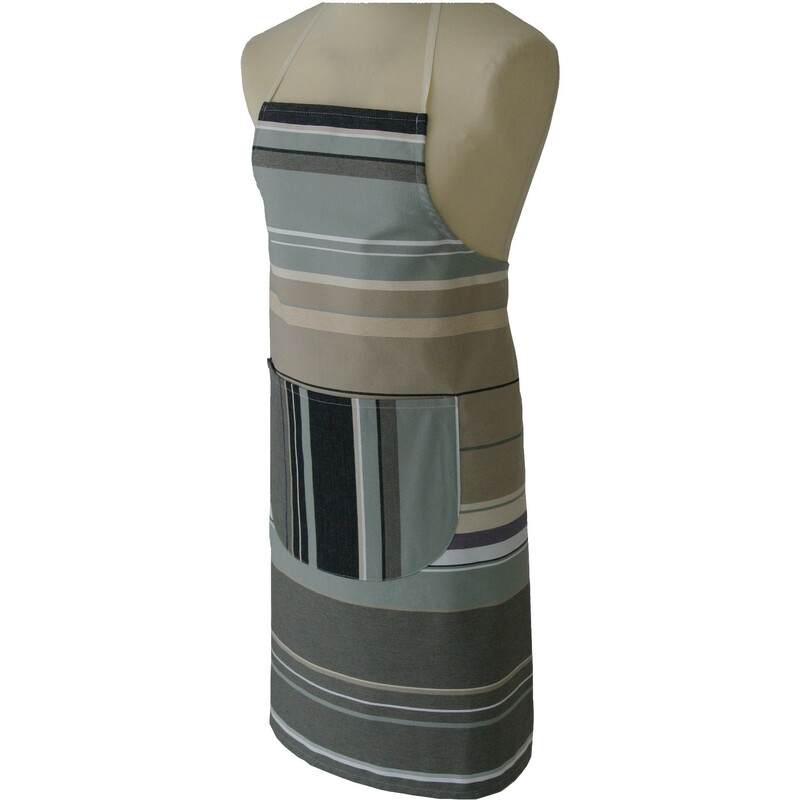 It is now easy to stay chic and preserve your style while in the kitchen or garden with the multi colored cooking aprons available at Les Toiles’ e-shop. Through the distinctive styles found online anyone can now select the most beautiful apron designs inspired from the Catalan tradition. The thick Catalan weaving of 300 mg/m2 grants a certain impermeability while at the same time offering the softness of cotton with the convenience of machine wash.
All aprons match the striped and decorative high quality kitchen towels, gloves and oven mitts and allow you to create a very beautiful, elegant and timeless set of good quality 100% cotton linen for your kitchen. Our sliding aprons come in two types of the same fabric giving you the option to pick the one that you best prefer. It is now possible to buy some of the best cooking aprons online from one of the top French manufacturers. Les Toiles du Soleil offers a great range of cute aprons that make you look cool yet elegant, whether you are the lady of the house, the cook, the chef or the child of the family that simply decided to experiment with his coloring skills. The exceptional quality of our aprons allows you to protect your clothes and yourself from splashes, rips and cuts while fully filling its sanitary mission! So, if you are wondering what type of apron to buy keep in mind that all home aprons for both men and women can be used on a daily basis as they are very chic yet comfortable, 100% adjustable and come complete with a large pocket. Les Toiles du Soleil also offers quality aprons for your children that are extremely cute and easy to wash. Due to their adjustable neck cord the aprons can suit children of all ages thus allowing them to enjoy all sorts of creative activities without worrying about their cloths. But where can I buy an apron and find some new ideas on how to revamp my home deco? Well you can now go online at Les Toiles’ e-shop, browse through the great collection of quality fabrics, pick your linen from one of the finest manufacturers in France and turn your home into a refreshing retreat.